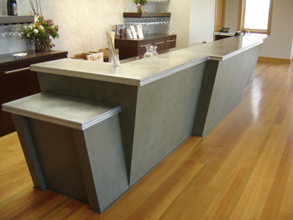 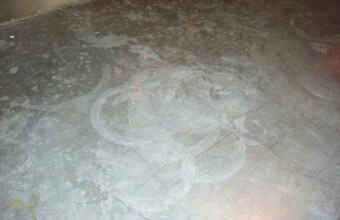 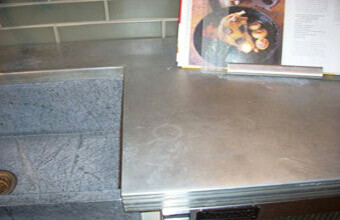 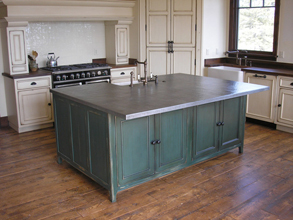 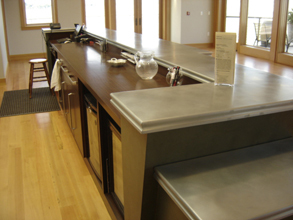 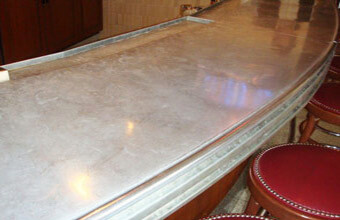 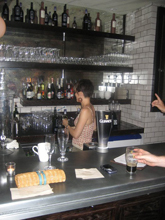 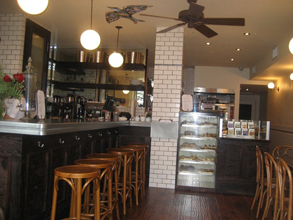 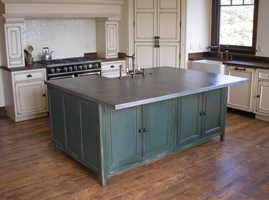 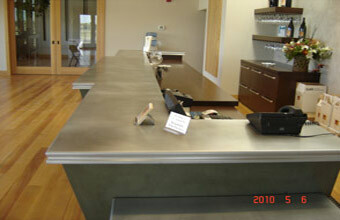 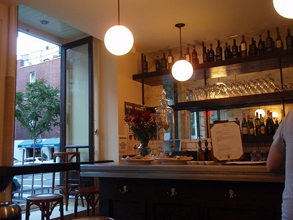 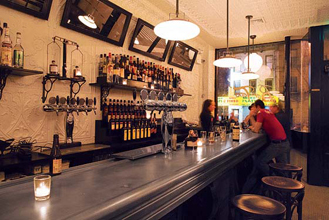 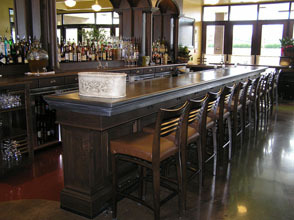 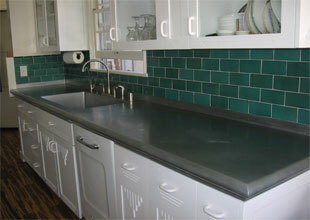 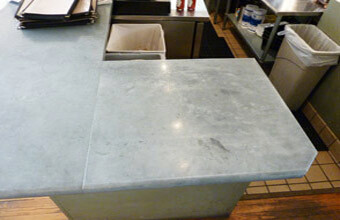 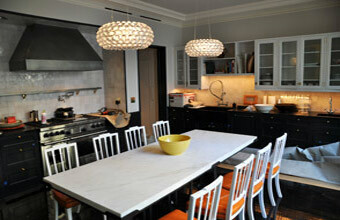 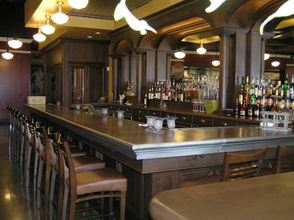 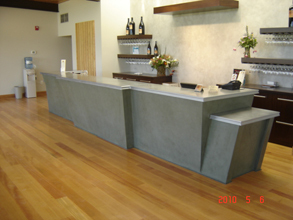 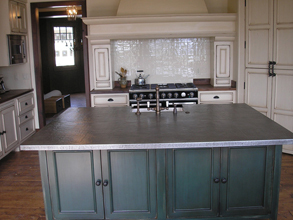 Custom Countertops - #2963 | Handcrafted Metal Inc. 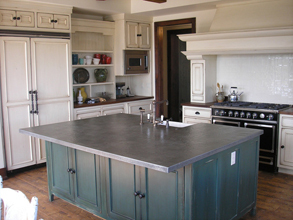 This splendid island countertop features our Mont St. Michel edge, and a curved eating area. 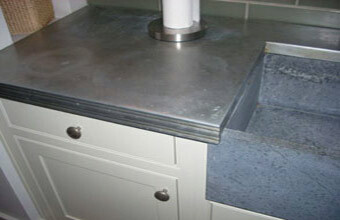 The integral two-compartment sink is also zinc. 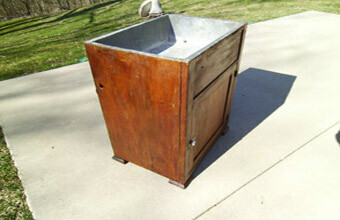 All welded smooth 16 gauge copper, medium antique patina.